From the book New Philadelphia used with the permission of the McWorter family. On the 21st: As we celebrate Martin Luther King Jr. Day, we look to Illinois' past and present. First, Yale law professor and central Illinois native Tracey Meares tells us what it takes to build a sense of fairness between police and civilians. Plus, the story of New Philadelphia, Illinois—the first town founded by African-Americans—told by Kate Williams-McWorter and Gerald McWorter, who also happens to be great-great-grandson of the town's founder. Illinois is historically known as a state that was founded free from slavery. It’s the Land of Lincoln, after all. And on this show, we’ve talked about how the history is a lot more complicated than that. Illinois may have been officially a free state before the Civil War, but it was still be a dangerous place for black men and women. But in 1836, a former slave named Free Frank started a town of his own. It was called New Philadelphia. It was in Western Illinois, just 20 miles from the slave state of Missouri. 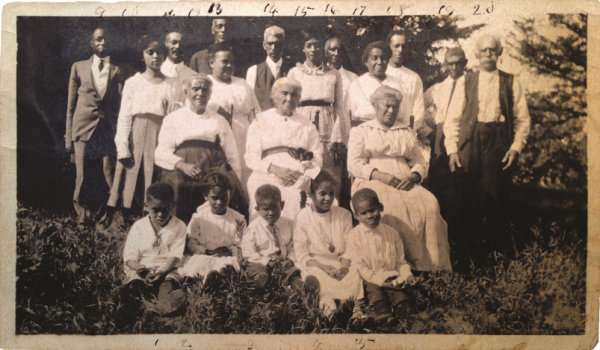 It eventually became home to both black and white residents - and it’s known as the first town founded by African-Americans certainly in Illinois - and perhaps in the U.S.
You can read all about it in a book called New Philadelphia. It’s the work of U of I professors Kate Williams-McWorter and her husband, Gerald McWorter, who also happens to be the great-great-grandson of Frank McWorter. Kate is an associate professor in the School of Information Sciences. Gerald is professor emeritus in the School of Information Sciences. What do police and civilians want from their interactions with each other? That’s one of the many questions at the heart of Tracey Meares’ work. The Yale Law professor has spent a lot of time in Illinois - she grew up in Champaign and Springfield, and was a professor at the University of Chicago. On Martin Luther King Jr. Day, she’s the keynote speaker at the Memorial Breakfast in Springfield. And last week we had a chance to speak with her.